BMW Seat Mat Emulators (EU). BMW Seat Mat Emulators (USA). FIAT Seat Mat Emulators. MAZDA Seat Mat Emulators. MERCEDES Seat Emulators (EU). MERCEDES Seat Emulators (USA). MINI COOPER/ONE Seat Emulators. TPMS BYPASS Tire Pressure Monitoring System Sensors Bypass Emulator. TPMS Tire Pressure Monitoring System Sensor BYPASS. Lifelong solution to the annoying dash light indicator. Bypass any Tyres With or Without TPMS Sensors. Annoying TPMS Light on a Dashboard because Tire Sensor(s) just failed? Want to mount new wheels without TPMS sensors? Garage or Dealership charge you a very high price for TPMS sensors replacement and coding? Introducing NEW TPMS Bypass- Tire Pressure Monitoring System/Sensors Emulator. The device we sell is a very simple and a lifelong solution to the annoying dash light indicator. Its designed by our engineers and manufactured according to the highest standards. Ideal for any tyres winter/summer with or without TPMS sensors. 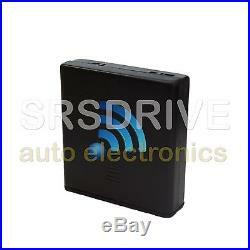 TPMS Bypass consists of a small box which can be discreetly placed anywhere within the vehicle. Requires 2 x AA batteries only! Connects by wireless signal! Ideal for Winter and Summer tires! No need to replace faulty TPMS sensors! No need to take your car to the garage or dealer! Bypass all wheels with or without TPMS Sensors! Detailed Programming Instructions Included! With step by step instructions supplied our TPMS Bypass will take less than 10 min to connect and BYPASS TPMS SYSTEM/SENSORS in the vehicle and you’re ready to GO! What is excellent that our TPMS box works by a wireless signal and not a hard wiring and once our box is removed from the vehicle TPMS system reverts back to it’s original preset. Our product is also suitable for vehicle Annual Tests such as MOT, NCT or any other. TPMS Bypass Disable Tyre Sensors – YouTube. Video will open in a new window. For TPMS with Band/Lear sensors. RANGER 2007 – 2011. 1 x TPMS Tire Pressure Monitoring System BYPASS (batteries not included). 1 x Detailed Programming Instructions. To make sure that it fits your vehicle please follow corresponding pre-check procedure! Vehicles with a PUSH BUTTON ignition start, please follow the steps below. With vehicle off, press and release the brake pedal. Press, and hold, the START button until chime sounds. Power off by pushing the button 1 time. Press and release the brake pedal. Power OFF by pushing the button 1 time. The car horn should sound once meaning that your car is compatible with our device! Vehicles with an IGNITION KEY , please follow the steps below. Place the key in the ignition in the off position (do not turn the key). Place foot on the brake for 2 seconds and remove. Turn the ignition key to the second position so that the dash lights are illuminated. Do not start the engine. Return the key to the off position. Tyre Pressure Monitoring Systems. An increasing number of vehicle makes and models are fitted with tyre pressure monitoring systems (or TPMS for short). And most new vehicles manufactured since 2012(EU) and 2007(US) have TPMS integrated as standard. A sensor valve in each tyre monitors tyre pressures and reports low pressures or tyre pressure imbalances to the driver via the dashboard display. Battery exhaustion a looming issue with TPMS sensor units. One of the most common TPMS sensor issues is batteries failing within the pressure sensors. These batteries cannot be replaced. Typically the batteries will start to decline rapidly after 5 years of operation. It is also important to note that when one TPMS battery fails the rest of the TPMS valve fitted to the vehicle will soon also fail, as all the batteries have been fitted to the sensors about the same time. TPMS sensor stems can also become corroded over time as they are open to the elements and take on everything the road as to throws at them. A faulty TPMS sensor can now result in an immediate MOT/NCT or any other Vehicle test failure. As of 1st January 2015 any car in UK manufactured from 2012 onwards that is displaying a TPMS warning light on the dashboard will automatically fail its MOT test. 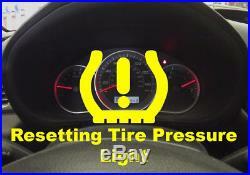 Car dealers want you to bring your car to them to replace the TPMS sensors. Our TPMS device is designed to Bypass such problem for a fraction of a cost! No need to take your car to the dealer/garage with step by step instructions supplied our TPMS Bypass will take less than 10 min to connect and BYPASS TPMS SYSTEM/SENSORS in the vehicle and you’re ready to GO! You are the best tire pressure monitoring system. With TPMS bypass emulator installed i. Ts your responsibility as a driver to check your tire pressures monthly, or at least have them checked by someone else. On new cars, the automakers recommended pressure is on a placard on the drivers doorjamb. On older cars, it can be on the trunk lid. It is not on the tire. 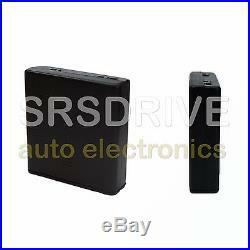 Our product is suitable for vehicle Annual Test such as MOT, NCT or any other. For our customer’s satisfaction, we continuously work on improving our emulators quality and durability. Our products are manufactured according to the highest standards with parts and components supplied by leading suppliers for the best experience. TPMS Diagnostic and Emulation Patent. We do ask that all payments are made immediate to avoid delays in dispatching your order. Auto electronics – We are Top Distributor for Seat Occupancy Mat, Safety Belt and TPMS Bypass Emulators for car brands as. BMW, Mini, Mercedes, Mazda, Fiat and much more. We are in a business since 2008 and our main goal is Top quality products with excellent customer service. To be successful our products are manufactured using genuine parts and quality components according to the highest standards. Items are safely packaged inside high-quality bubble envelopes for maximum protection and security. Opening return request isnt necessary. Thank you for understanding. Auto Electronics – We are Top Distributor for Seat Occupancy Mat Emulators and Seat Belt Warnings Simulators (Bypass) for car brands as BMW, Mini, Mercedes, Mazda, Fiat, etc. We are in a business since 2008 and our main goal is Top quality products with Top Customer Service to our customers. Address: 26 Oakfield Close F93 E4P8 Buncrana, Donegal Ireland HP12 3ER, UK UK: +44(0) 77 837 25020 IRL: +353(0)83 847 8878. All Personal Information that you submit is encrypted and secure. This site is tasted and certified daily to pass the FBI/SANS Internet security Test. The item “Ford Ranger Tire Pressure BAND Sensors Bypass Disable TPMS System Reset Emulator” is in sale since Thursday, May 11, 2017. This item is in the category “eBay Motors\Parts & Accessories\Car & Truck Parts\Wheels, Tires & Parts\Tire Pressure Monitor Systems”. The seller is “srsdrive” and is located in Ulster. This item can be shipped worldwide. ford | band, bypass, disable, emulator, ford, pressure, ranger, reset, sensors, system, tire, tpms | Bookmark the permalink.